Find yourself behind the wheel of a used Audi A8 and you'll quickly discover what makes this premium executive saloon stand apart from the crowd. Luxurious in every detail, the A8 is Audi's flagship model. Incredibly elegant, well equipped and outstanding to drive, it's a car that demands to be noticed. 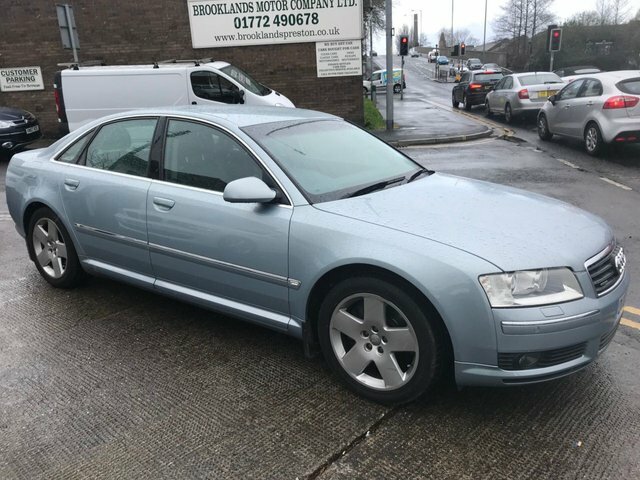 For a superb deal on a used Audi A8 for sale in Preston make sure you come to Brooklands Motor Company Ltd. We've been helping drivers to find their ideal pre-owned vehicles for years so why not let a member of our team speed up the search for your next car. View our latest stock online before getting in touch to arrange a test drive.